The smoke is still clearing from Bitcoin Cash’s hard fork, but exchanges have already moved in to add support for the products of the skirmish. On November 16, 2018, what was intended to be a routine hard fork upgrade of the Bitcoin Cash blockchain became a struggle for hashing power and chain dominance as Bitcoin Satoshi’s Vision (SV), led by Craig S. Wright, attempted to wrestle control over the Bitcoin Cash blockchain from its original client, Bitcoin ABC. Bitcoin ABC (thus far) has strong-armed Bitcoin SV with its mining power and held onto its position as the dominant chain, but yesterday’s showdown still culminated in a coin split that left the network with two rival coins, which, for the purpose of this article, we’ll refer to as BCHABC and BCHSV. And this split has left a mess of potential markets for exchanges to manage. In the aftermath, they’re stuck with either choosing to support both coins, default to the ABC chain as the real BCH or sit tight until they feel comfortable making a decision either way. Not every exchange is on the same page for what each coin’s ticker should be either, and some seem content to ignore the forks’ janus-faced by-products and carry on with their usual bitcoin cash trading. A handful of exchanges have announced that they will be supporting both coins for the time being. Some, like Poloniex, HitBTC and Bittrex got ahead of the game by offering futures trading between the two coins before the hard fork even took place. Announced on November 7, Poloniex first featured futures in the run up to the fork and, since the coin split, it has integrated support for coins under the tickers BCHABC and BCHSV in the form of BTC and USDC trading pairs. We’ve finished converting all BCH balances to BCHABC and BCHSV. The BCH market is now disabled. BCHABC/BTC, BCHSV/BTC, BCHABC/USDC, and BCHSV/USDC markets are open. Deposits and withdrawals of BCHABC and BCHSV are still paused, and will remain paused until the networks stabilize. HitBTC revealed in a blog post on November 9 that it would open pre-fork trading for both BCHABC and BCHSV. On November 13, top-5 exchange Bitfinex also followed the trend, noting that it would roll out pre-fork trading for ABC and SV in the form of chain-split tokens (CST). These before-the-fact trading vehicles could be created by or redeemed for bitcoin cash at any point and, since the fork, they have been replaced with the actual forked coins under the tickers BAB (for ABC) and BSV (for SV) on Bitfinex and BCHABC and BCHSV on HitBTC. Other top exchanges, like Binance and Bittrex, played the fork patiently, waiting to see if the Bitcoin Cash network would split before restructuring its bitcoin cash trading. Binance, for instance, waited for the conflict to die down before blogging that it would open markets for BCHABC and BCHSV against BTC and USDT. Unlike its peers, Bittrex is waiting a bit longer before it treats SV with the same gravity as its BCH predecessor. On November 7, the exchange published a blog post that said it would default to ABC’s implementation as the main chain leading up to the fork, while also assuring customers that their accounts would be credited with the split BCHSV coins following the fork. So far, BCH remains as the only coin with trading support on the exchange, as it is waiting for further clarity before it decides to restructure its markets. “The ‘BCH’ ticker will remain the Bitcoin ABC chain before the hard fork block. Bittrex will observe the Bitcoin Cash network for a period of 24 to 48 hours to determine if a chain split has occurred and the outcome,” the post reads. Kraken took Bittrex’s (tentative) support of ABC as the main chain a bit further. Announcing in a November 10 blog post that, “[initially, it] will only support Bitcoin ABC.” Kraken went on to reveal that it would not automatically accommodate chain-split coins. Instead, users would have to claim these manually by moving their coins off the exchange. “We will not support any alternative chains for funding or trading on the day of the fork. We will then monitor the situation in the weeks and months after the fork and evaluate whether or not any changes to our stance are warranted, including the possibility of supporting an alternative chain. However, we make no promise or guarantee that any alternative chain will be supported … If you want the option to preserve/claim tokens on alternative chains, you must withdraw your BCH from Kraken prior to funding being disabled on November 15th. By leaving your coins on Kraken through the upgrade, you are potentially forfeiting any coins on alternative chains that might otherwise be available to you,” the post reads. 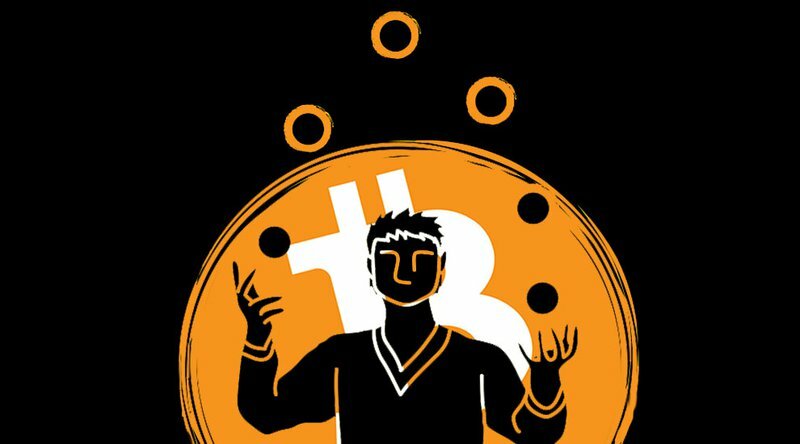 As Binance, Bitfinex and Poloniex’s actions suggest, in the comedown of the forking euphoria, some exchanges have surrendered to the reality of Bitcoin Cash’s network now housing two competing coins. Others, like Bittrex and Kraken, are biding their time to see how this continues to unfold — after all, the fork isn’t even 24-hours old yet. Still other exchanges have also opted to wait to see how they should proceed, many of which have suspended deposits, withdrawals and trading for BCH until the dust settles. Coinbase announced that it will “ensure that customers have access to their funds on each chain” if they’ve left their BCH on Coinbase platforms. This article will be updated periodically to include other exchange support news as the story develops. Update, November 16 [20:45 UTC]: An unconfirmed post on the r/btc subreddit has begun compiling a list of exchanges that, thus far, have defaulted to assigning the BCH ticker to the ABC fork’s rule set. Among those allegedly acting in league with Bittrex and Kraken are Coinbase, Coinone, Bitstamp, Bithumb and Upbit.